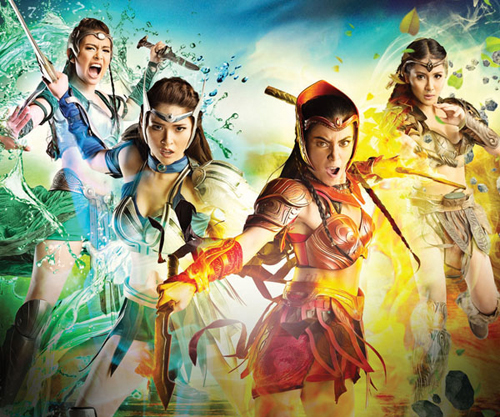 GMA-7's Encantadia (left) got the highest-rated pilot episode of 2016 while ABS-CBN's Pangako Sa 'Yo got the highest-rated finale episode this year, according to AGB Mega Manila data. After a year of monitoring the TV ratings of Pinoy shows in 2016, PEP.ph (Philippine Entertainment Portal) looks back on the most-watched locally produced programs. PEP presents a list of the Top 10 highest-rated pilot and finale episodes among primetime shows aired this 2016. The list is based on the survey conducted by AGB Nielsen among Mega Manila households from January 1 until December 18, 2016. Excluded from this list are Asian dramas, reality shows, and weekly drama anthologies. PILOT EPISODES. Among the teleseryes with most-watched pilot episodes, GMA Network has seven shows in the list while ABS-CBN has five. Twleve shows made it to the lsit because there were two ties: for the 3rd spot and the 6th spot. Take note that GMA-7's two-week mini-series, Naku Boss Ko, landed in the No. 11 spot. This political satire aired in the fourth slot. Meanwhile, TV5's two teleseryes that aired early this year, Bakit Manipis Ang Ulap and Ang Panday, both did not make it to the list. Encantadia clinched the highest rating for a pilot episode in 2016. The Kapuso fantaserye's much-anticipated debut episode on July 18 garnered a 26.1% Mega Manila rating. Second place went to Dolce Amore, the second primetime teleserye of the Liza Soberano-Enrique Gil tandem. The romantic drama's February 15 pilot got a 23.7% rating. 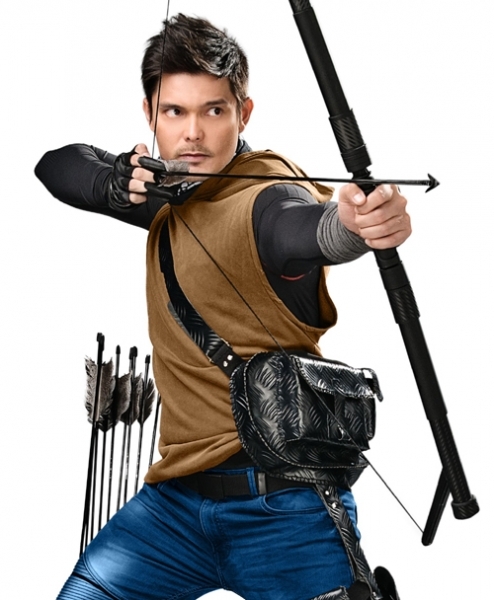 The much-anticipated remake of this telefantasya did not show the new Sang'gres yet, but Kapuso Primetime Royal Couple Dingdong Dantes and Marian Rivera were featured in special roles. In this series, Enrique played the role of the poor but hardworking Tenten who meets the rich Italian girl Serena, played by Liza. This show served as a follow-up for Barbie and Andre's love team after the success of their afternoon series The Half Sisters, which ran for one and a half years. In That's My Amboy, Andre played a celebrity while Barbie was his personal assistant. In Regine Velasquez's comeback teleserye, she played Rita, a rich but strict owner of a perfume company who lost her wealth. She then stumbled upon five children who taught her the real meaning of happiness. Alyas Robin Hood inspired by the master plot of the British folklore Robin Hood. Dingdong's character experienced social injustice that prompted him to become a hero for the oppressed. Even before it aired, the show already made a buzz after it was accused of ripping-off the American TV series Arrow. Till I Met You is the follow-up series of James and Nadine after the success of On The Wings of Love. It talked about the love story of Iris (Nadine) and Basti (James) and their friend Ali (JC) who had feelings towards Basti. After three weeks of airing, the Jadine teleserye transferred to the third primetime slot. The story of Once Again is about two lovers (Aljur and Janine) who met a tragic end. Through the power of reincarnation, their souls meet again in the modern times and continue their love affair. Someone To Watch Over Me focused on the story of the couple Joanna (Lovi) and TJ (Tom) who had struggles after the husband was diagnosed with early onset Alzheimer's disease. To make matters worse, TJ can only remember his moments with his ex-girlfriend Irene (Max). Inspired by the movie Kastilyong Buhangin, this show is about the epic love story of Aryann (Arci) and Waldo (Jericho) who were separated due to a tragedy. This romantic-comedy series about Juan (Dennis) and Happy (Heart) showed the different approach of men and women when it comes to handling relationships. The comeback of Kim and Xian on primetime focused on the story of childhood sweethearts Tin (Kim) and Makoy (Xian) and how their transfer to the United States affected their relationship. The concept of destiny through the popular Japanese belief about the red string of fate was discussed in this musical TV show, which also was the first team-up of Janella and Elmo for a primetime series. FINALE EPISODES. Based on AGB Nielsen data, all the finales aired by GMA-7 made it to the list of Top 10 most-watched teleserye finales. On the other hand, ABS-CBN had three in this list out of the five culmating episodes aired this year. The Kapamilya shows that did not enter the list were The Story of Us, and Born For You, both aired in the third primetime slot. You're My Home, which aired in the fourth primetime slot, also failed to make it to the list. Just like in the pilot episodes, TV5's Bakit Manipis Ang Ulap and Ang Panday also did not make it to this list. It should be noted that ABS-CBN's FPJ's Ang Probinsyano starring Coco Martin is not in this list because it aired its pilot episode last year, and it has not yet aired its finale this 2016. ABS-CBN owned the No. 1 spot with Pangako Sa 'Yo, a heavy drama that starred Daniel Padilla, Kathryn Bernardo, Angelica Panganiban, Jodi Sta. Maria and Ian Veneracion. Its February 12 finale rated 27.5%. Marimar won second place, when its last episode on January 8 got a 24.8% rating. The Kapuso romantic series featured Megan Young and Tom Rodriguez. The Pangako Sa 'Yo pilot episode aired on May 25, 2015 registered a TV rating of 22.8% in AGB Mega Manila. In the last episode, Amor (Jodi) was reunited with Eduardo (Ian) while Yna (Kathryn) got her happy ending with Angelo (Daniel). Claudia (Angelica) was imprisoned and became blind because of a gunshot wound. The second Filipino adaptation of MariMar rated 25.1% on its August 25 pilot episode, making it the highest pilot rating in 2015 based on AGB Mega Manila data. The 2016 finale showed the characters of Marimar (Megan) and Sergio (Tom) getting married after the villains were killed due to a helicopter crash. This Kris Bernal-starrer registered a rating of 22.7% during its pilot episode, after it was aired on the second slot. Little Nanay moved to the first slot after MariMar aired its finale. 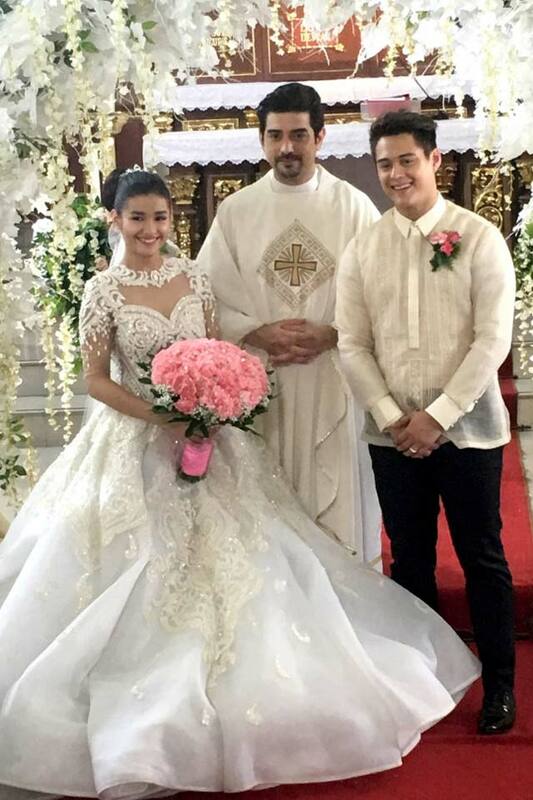 Dolce Amore's culminating episode trended on Twitter as it aired Serena and Tenten's wedding with Ian Veneracion playing as the officiating priest. Poor Senorita's final episode showed how Rita made amends with the character of Gladys Reyes, mother of the children who helped Rita. Gladys's character was fired by Rita from her company, which is why the former left her children and got depressed. OTWOL's pilot episode registered a rating of 19.3%. 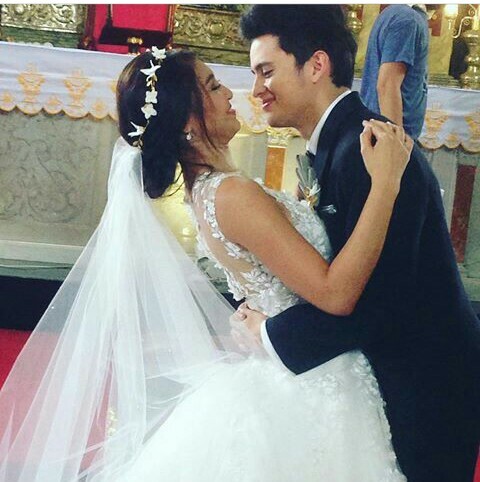 Its finale aired the wedding of Leah (James) and Clark (Nadine). After the wedding, they aired a live special as the first outing of the "married" couple. A week before the finale aired on ABS-CBN, James and Nadine also admitted that they are officially together. While Andre and Barbie's previous afternoon show, The Half Sisters, aired for one year and seven months, their primetime series That's My Amboy aired its finale after 14 weeks. The show wrapped up after 12 weeks of airing and was replaced by the popular Koreanovela Descendants of the Sun. In Once Again's last episode, Aldrin (Aljur) died after a tragic accident. After many years, his soul appeared again in front of a dying Des (Janine). When she passed away, their souls went up together in heaven. This romantic comedy's pilot episode registered a rating of 19.8% when it was first aired on November 30, 2015. Because of its high ratings, the show was awarded several extensions and ran for almost six months. Juan Happy Love Story's final episode showed how Juan and Happy fixed their marriage as they took care of their adopted daughter Kat-kat. The grown up version of their kid was played by Carla Abellana.